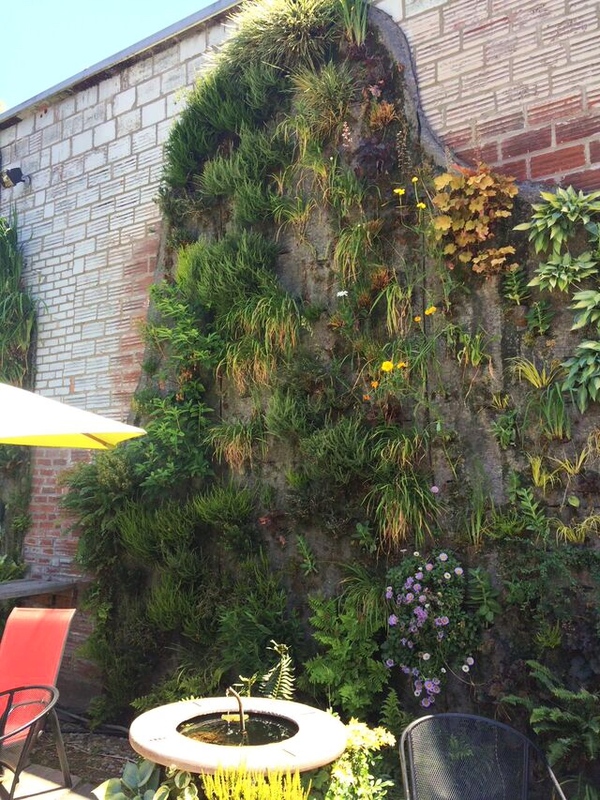 A must-visit cafe in Oregon City known for great coffee sandwiches and vertical gardens. You need to see the impressive things they’ve done with their patio. Another post fanning the flames of my Oregon City obsession. This time I’m raving about a cafe, the Singer Hill Cafe. To me, this place is a hidden gem, but I’m sure anyone who lives in the OC knows about it. I found it thanks to Yelp. 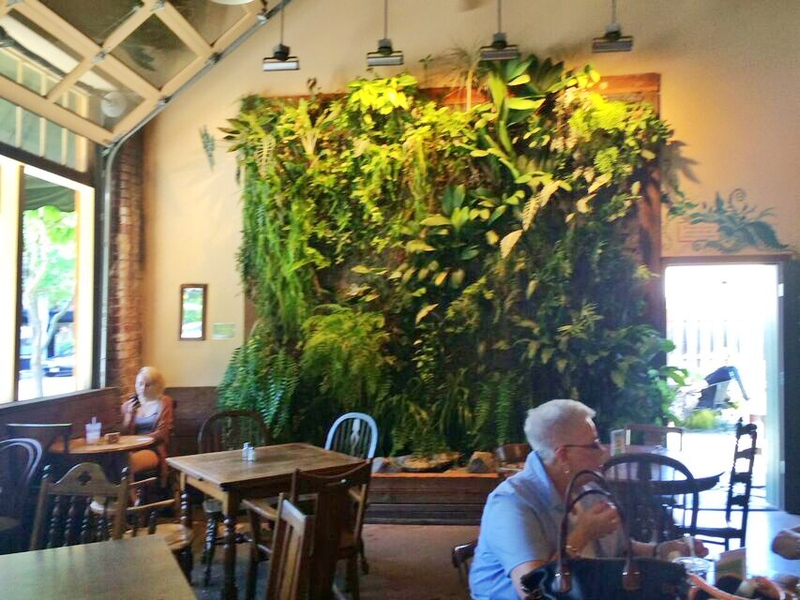 There are two awesome things about this place: it’s huge, and it has vertical gardens. Vertical gardens??!? 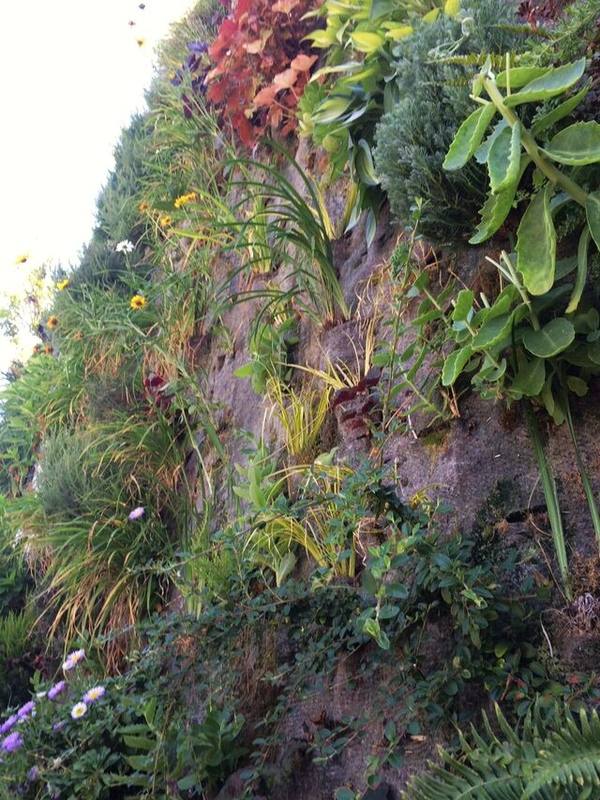 Yes, that’s right, gardens that grow up the walls. It’s their specialty and they have them all over. 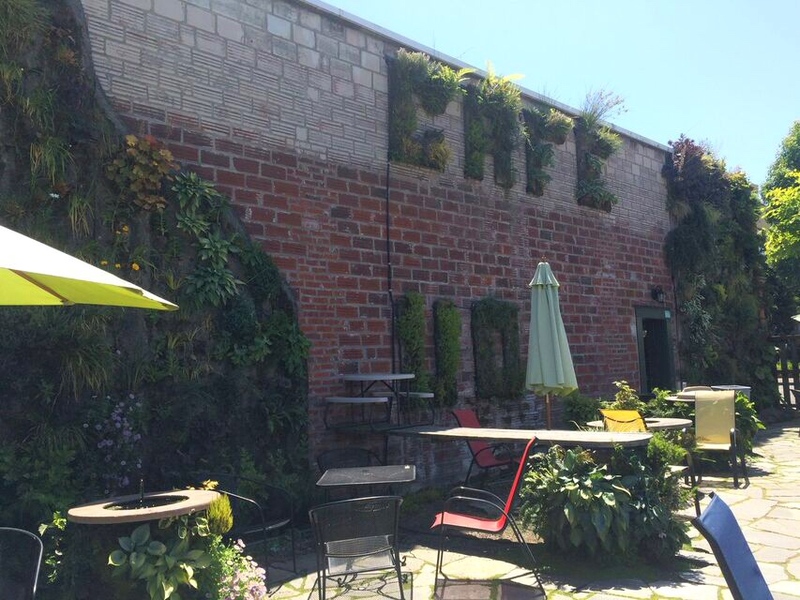 In the cafe, all over the patio…even the sign is made out of plants. This is so cool and really makes their place feel like a lush oasis. If you are there in the summer make sure to visit the patio it’s really neat. The cafe is also huge. So huge they have a art gallery inside! There are three rooms to sit in, each with plenty of table and counter space, plus the very spacious patio. If you need a spot to meet with a big group, this is a great option. Baby and I only stopped in for a short rest and a snack after our walking tour of the city but Singer Hill Cafe has a full menu of breakfast and lunch sandwiches plus pastries and coffee if you want a meal. But really… the best reason to visit is to check out the gardens. They’ll make you re-think what you can do with your backyard.